It was a lazy weekend afternoon. We decided to find a quiet place to chill. Chanced upon Craftsmen Specialty Coffee at Mohammed Sultan Road and decided this café shall be it. Around for a few years, its presence can also be found at Central, Siglap and Thomson. Loved how the place is bright and spacious with white wall, high ceiling and light let in through the glass frontage (not sure if the lightbulbs would be sufficient at night though). Colourful bottles of soda and beer on wooden and black metal shelves, together with potted plants hanging from above or sitting on a surface, stood out against wooden tables and chairs with black metal legs on concrete floor. As my dining companions and I were not hungry, we shared a slice of cake and had a drink each. Could neither rave about the coffee nor fault its cake. Have wanted to try Tai Cheong Bakery's first cha chan teng since it opened in Singapore 2 years ago but only managed to finally get round to it recently. This is the Hong Kong brand's first foray into dine-in concept since its first bakery at Lyndhurst Terrace more than 60 years ago. Was in the area on a weekday when we decided to have an early dinner. Located at Holland Village, it has both indoor air-conditioned and outdoor dining area. There are a few tables in the former and we were fortunate to be seated inside. 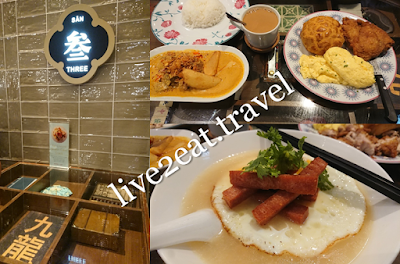 One of my dining companions ordered beef brisket curry rice while another had scrambled egg with chicken chop, choosing po lo bao over toast. Was surprised when the latter arrived as the portion was huge, definitely not a simple breakfast. The omelette was silky smooth, soft and moist while the po lo bao was fluffy like a pillow. And the chicken chop was crispy on the outside, juicy and tender on the inside. I had instant noodles in chicken (you can choose tomato too) soup with three eggs and ham. Loved the sunny side up though three yolks are too much even for an egg-lover like me, and could neither rave about the fried strips of luncheon meat nor fault the fork-tender beef brisket that had supposedly been braised for a good six hours. We also shared a cup of yuan yang – a good balance between coffee, tea and milk. However, it was not to my liking as I prefer mine to have a tad more coffee and less milk. 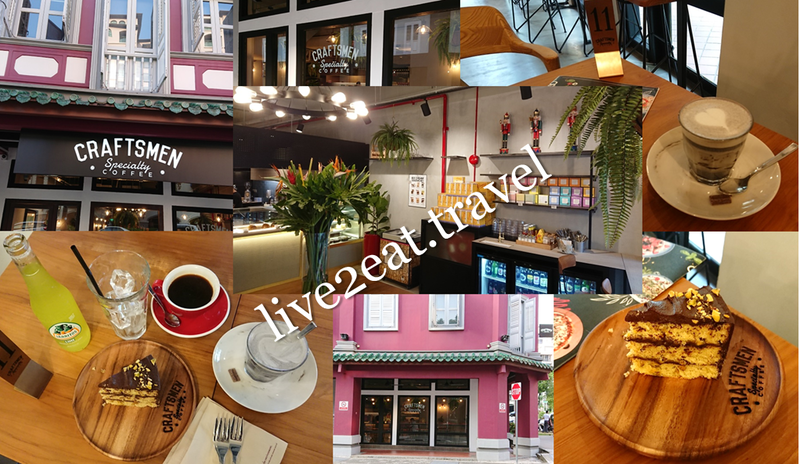 Though the bakery is well-known for its egg tarts, we did not order it this time since we have tried the ones from this branch and Hong Kong (check out my post on What and Where to Eat in Hong Kong) before. Overall, it was a pleasant meal that was not too salty. "Demon chef" Alvin Leung, known for his three-Michelin-starred Bo Innovation in Hong Kong, opened Forbidden Duck in Singapore. Located where Crystal Jade Prestige used to be, the contemporary Cantonese restaurant is on the 2nd floor of Marina Bay Link Mall. Take the lift, between Marina Bay Financial Centre Tower 1 and 3, from the 1st floor and turn left upon exiting. Visited on a weekday for late lunch to try its dim sum and was surprised to see many empty tables for a relatively small but spacious place. 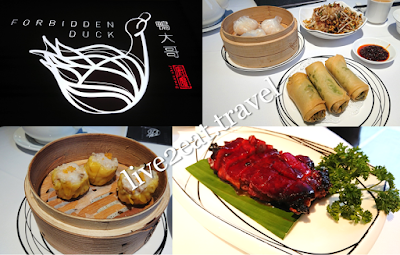 Though the Pan Fried Turnip Cake with XO Sauce and Steamed King Prawn Dumpling were not recommended items on the menu, we liked them better than its Pesto Duck Spring Roll that my dining companion hated. Could neither rave about its Pork Siu Mai nor fault the thick but tender and a-tad-sweet slices of Iberico Pork Char Siu, except that the latter was too fatty for our liking. Oh, and the accompanying chilli sauce was very salty. Yesterday was the light-up ceremony and fireworks displays for Chinatown Mid-Autumn Festival 2018 though it usually takes place after Hungry Ghost Festival – today is the last day. Two more weeks to buy mooncakes as Mid-Autumn Festival falls on 24 Sep (Mon). 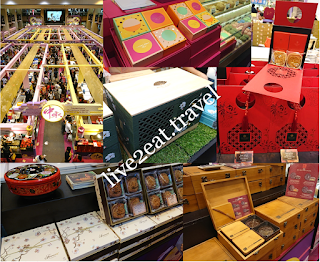 What stood out at this year's Takashimaya Mooncake Fair was that many added macadamia nuts to their traditional mooncakes without salted egg yolks, and most of the lotus paste was too sweet for my liking. To indulge your loved ones who should not be eating sweet stuff, try the a-tad-sweeter mooncakes from Shangri-La Hotel or The Ritz Carlton. Or get the ones from Mandarin Orchard, Wan Hao Chinese Restaurant by Singapore Marriott Tang Plaza Hotel or Golden Peony by Conrad Centennial Singapore if you do not have a sweet tooth. 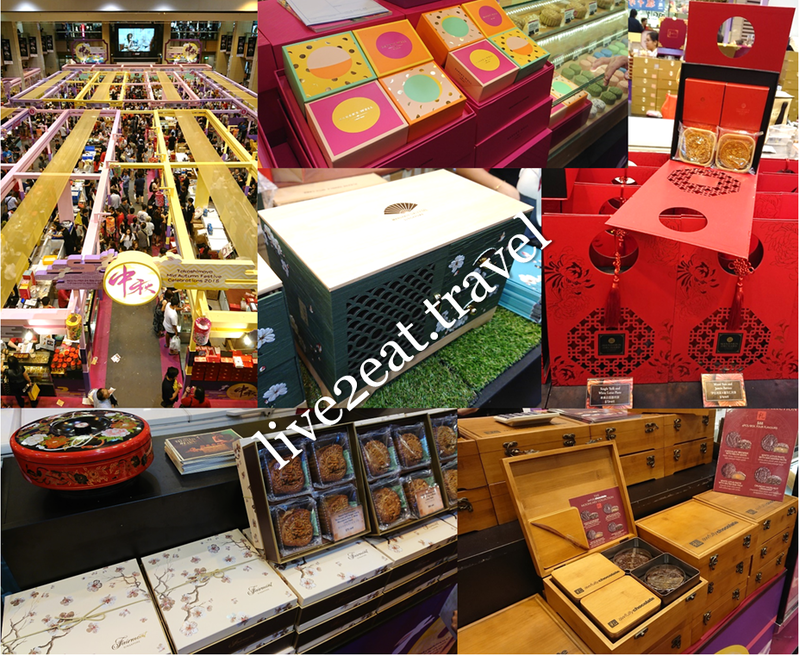 Could not resist the latter's 40% discount and got its Golden Peony Traditional Baked Treasures, choosing the champagne cream box over the crimson red one for the 4 pieces of mooncakes in different flavours. Hoping to reuse the box, just like the one from Man Fu Yuan by Intercontinental Singapore that I bought 2 years ago. 6. 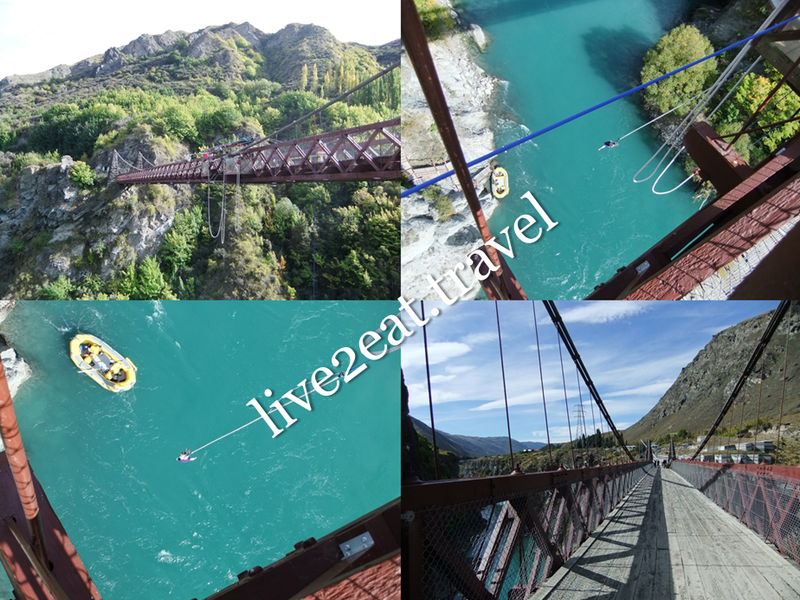 Bungy jump at Queenstown's Kawarau Bridge Bungy Jump Lookout or Lake Taupo. Or skydive at Nelson and Queenstown in the South Island or Auckland, Lake Taupo and Tauranga in the North. These can be combined with white water rafting or a jetboat thrill ride, which we tried at Queenstown and Lake Taupo's Huka Falls respectively. No, we did not skydive.